Now that the holiday season is over, we all have pantries filled with leftover baking supplies. Put all that excess frosting and those extra marshmallows to good use by making a kitchen craft with the little ones in the post holiday lull. Below are some of my favorite ways to use the kitchen in winter crafting. 1. Marshmallows – You can’t have a winter kitchen craft without marshmallows. Whether you are using the large marshmallows to make a snowman or the mini marshmallows to build an igloo, marshmallows are your way to play with “snow” without freezing in the cold! 2. Frosting – Frosting is the kitchen’s glue and should be treated as such. 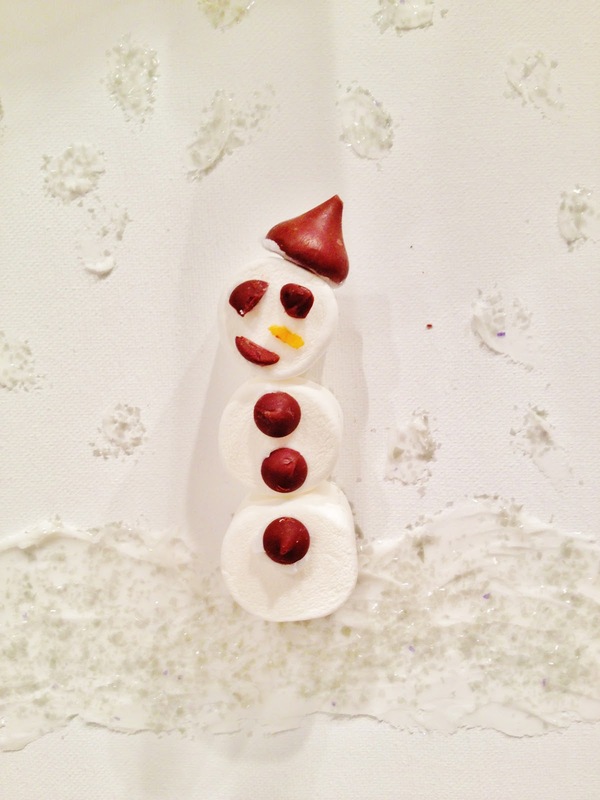 Let the little ones make pictures with food, “gluing” together the pieces, or simply use it as snow in a wintery wonderland scene. 3. Cookie Cutters – Don’t put the cookie cutters away just yet! Winter cutters are good all the way through February or March depending on where you live. You can use them to trace cutouts for cards or you can use them with frosting and sprinkles on a canvas to create a neat 3D effect.